WE ARE READY MADE : WHO RUN THE WORLD? 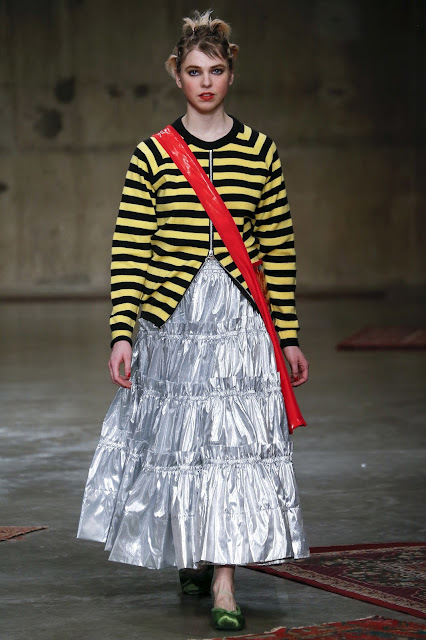 Yesterday was just a normal day at London Fashion Week. In only one day, a bunch of female designers set the British capital on fire and once again they ascertained the city's status as the place of experimentation, the place where anything is possible when it comes to fashion. Wearable or not is not the most important question here. 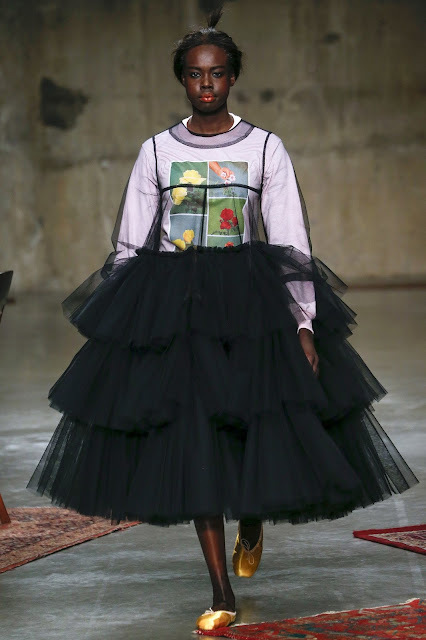 In London, designers are talking in terms of relevance, of innovation and through their creations, with the help of their clothes they are questioning our relationships to garments and more than anything they are speaking about the state of our world. And there is a lot to say these days. Faustine Steinmetz is a magician. 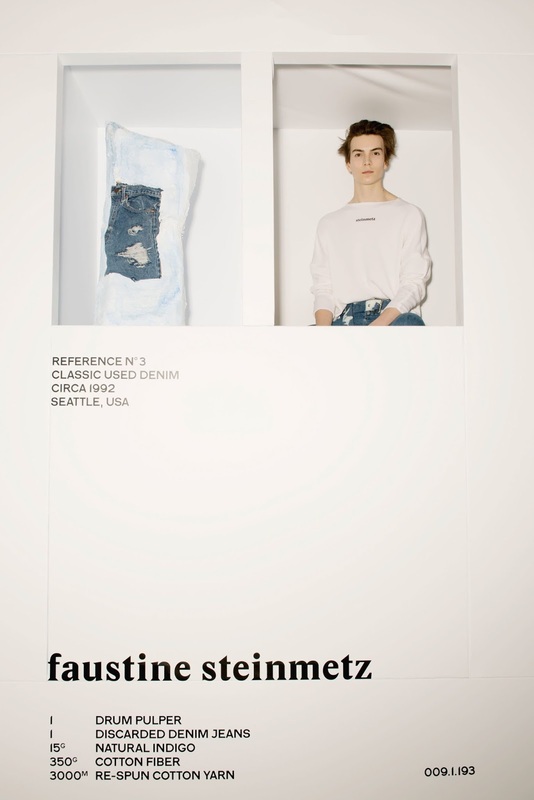 We have already written about her unique ability regarding the work on denim, perhaps the most common fabric of our modern era but each and every time, we are absolutely flabbergasted by how she succeeds in transforming this highly "trivial" material into something so unique, so special. 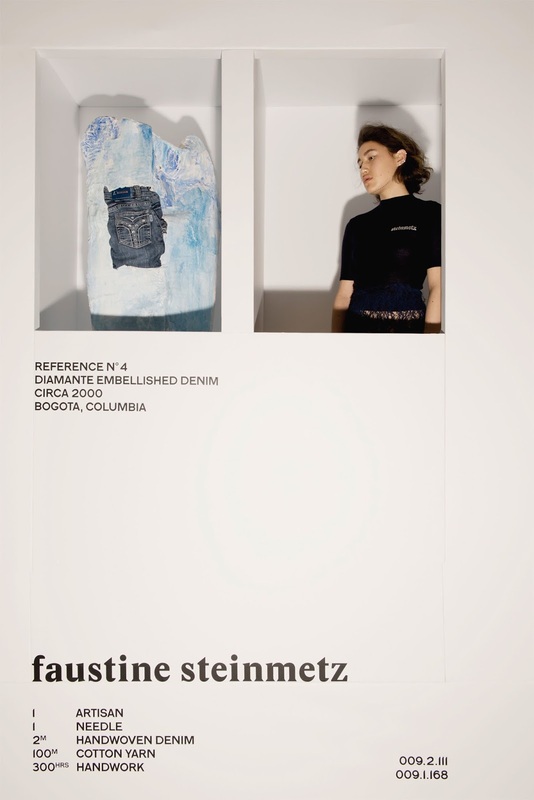 When it comes to denim, we can often feel that everything has already been done but with Faustine Steinmetz it gets a brand new dimension where keyword is handicraft. She is an artisan reworking, rethinking, reshaping denim. For her Autumn Winter 2017/18 collection, she found denim from all over the world (Tel Aviv, Bogota, Vancouver or Seattle) and turned it into objects of art/fashion thanks to numerous hours of handwork (hand-woven, hand-ripped, hand-embroidered...). The result is stunning and once again, it gives denim a well-deserved luxury recognition. With the designer, denim is never boring and always filled with insane details & embellishments. We particularly love how she staged her presentation, bringing face to face the denim piece she used as a starting point and the final result. 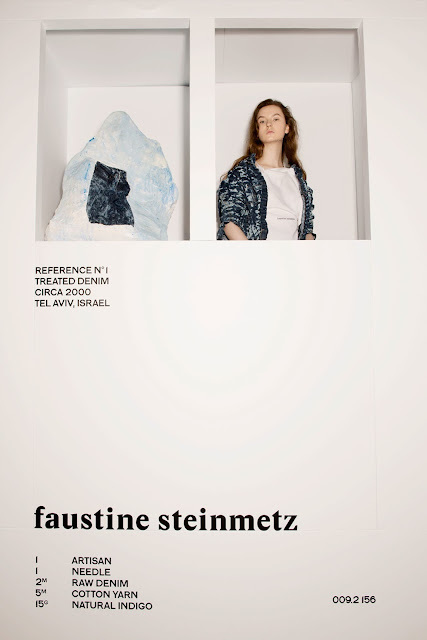 We are in a museum dedicated to the most important fabric of fashion, the one that revolutionized our modern times and Faustine Steinmetz wants to celebrate its impact by showing that everything is possible with it. 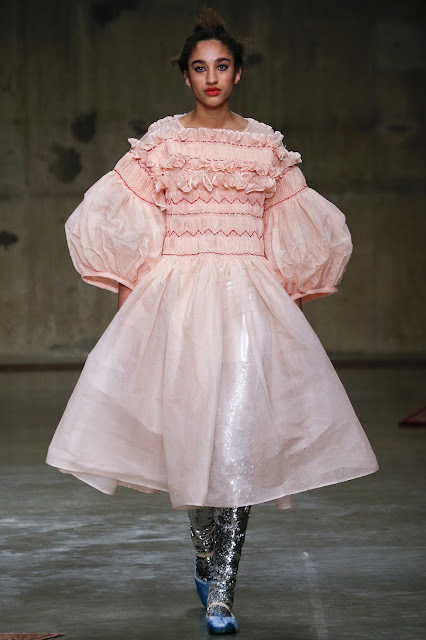 From a tie & dye total look to an outfit completely encrusted with Swarovski crystals and with frayed hems. 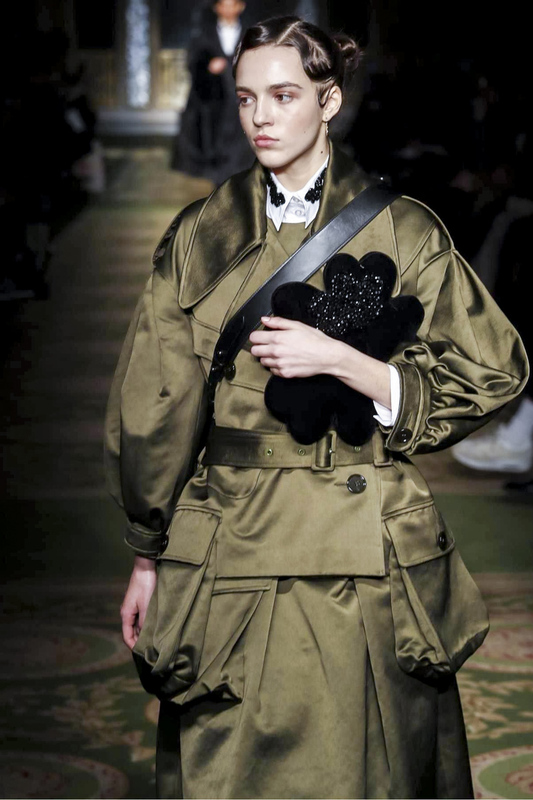 It is raw, grunge but it feels so innovative & cool. And the icing on the cake is that her creations are eco-conscious & sustainable. 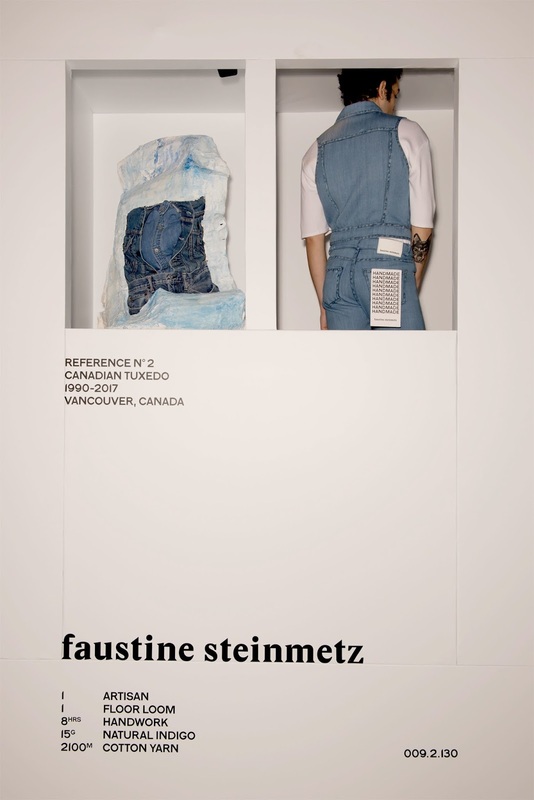 Faustine is the Future of Fashion! 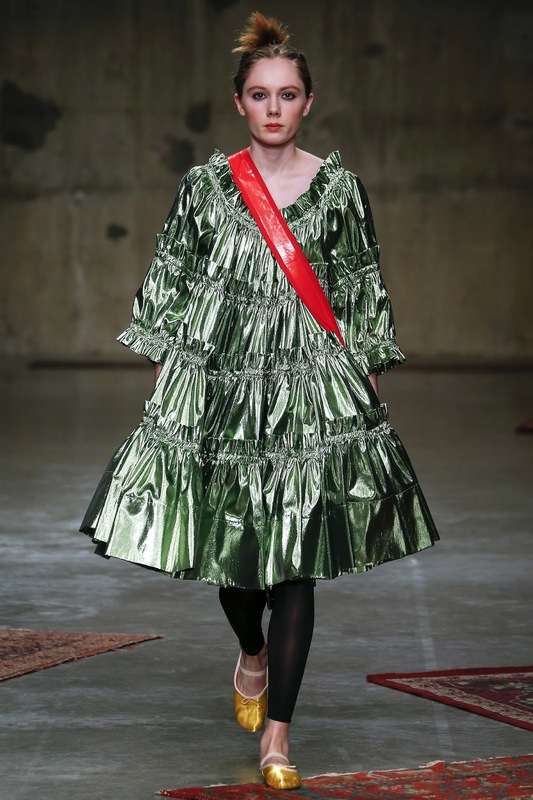 Molly Goddard is well-known for her tulle extravaganza, her taste for neon colors and her feminist voice. 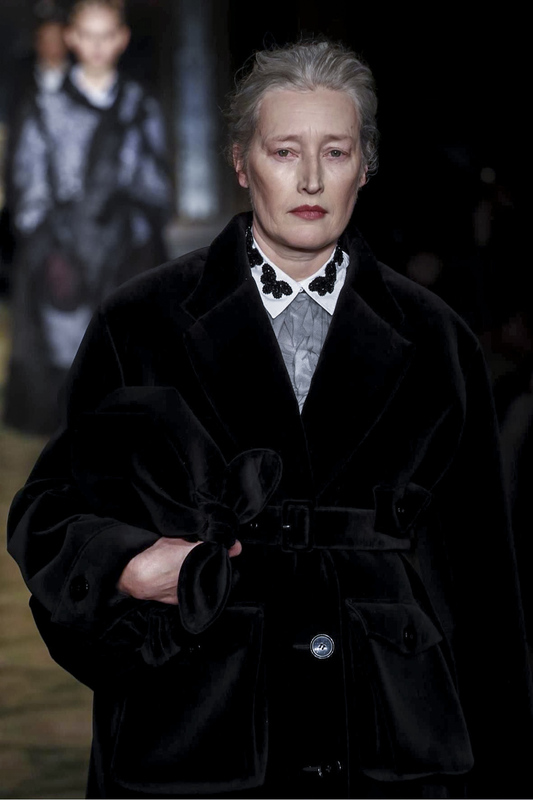 Her signature is unique in the British fashion landscape and for a young designer like her, this is so rewarding & important. 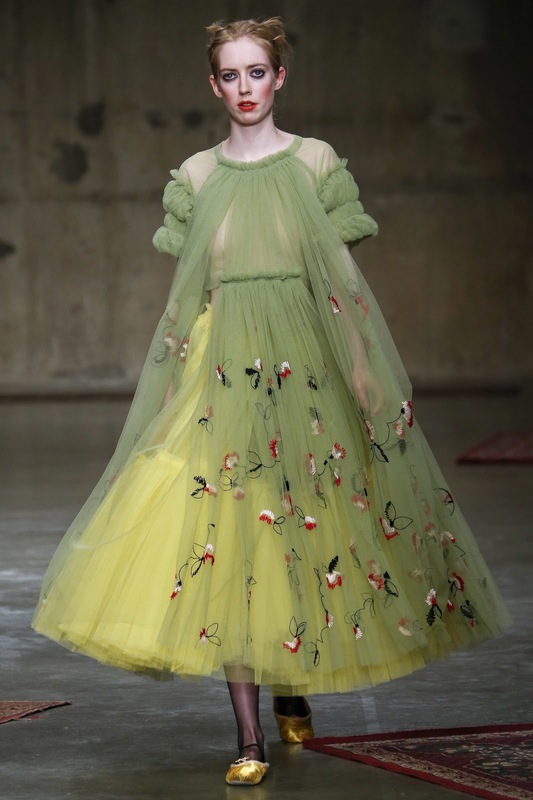 Thanks to her, tulle has become a statement and is no longer reduced to prom dresses. 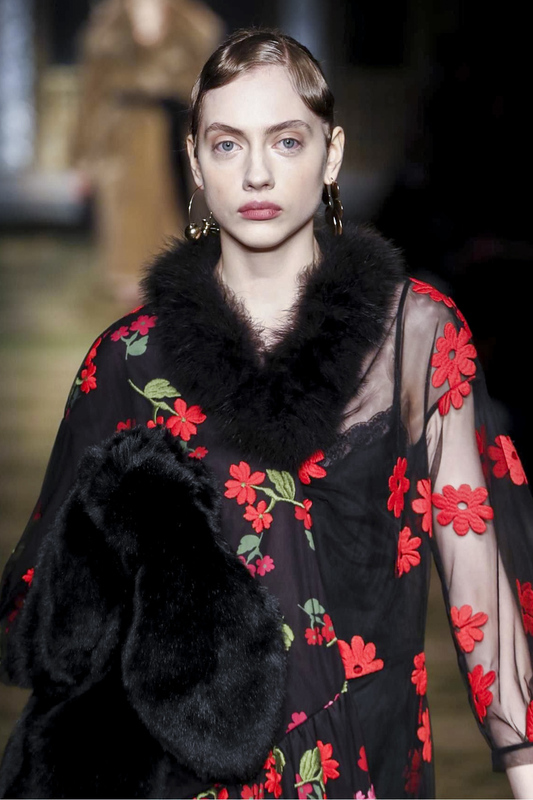 You can immediately identify her work and this may look old-fashioned or kitsch but every cool girl wants to sport her creations. For AW17, she & her whole-female team (and her mother too!) 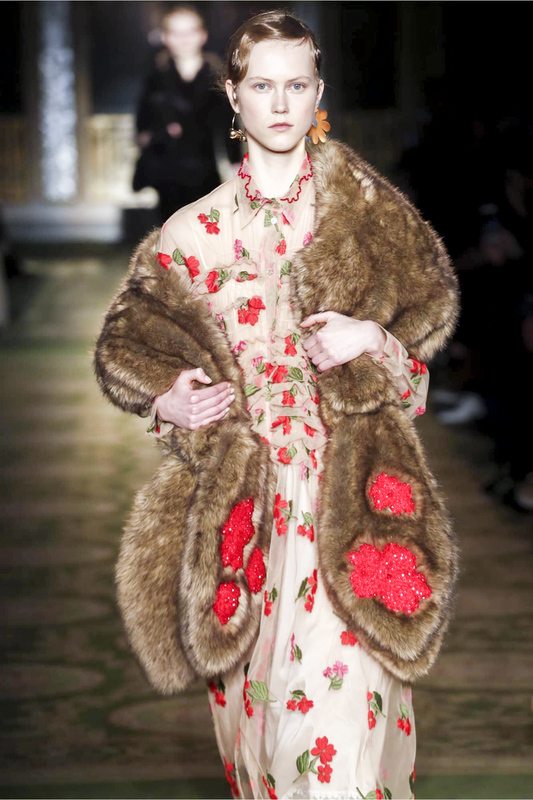 mix different periods & influences to come up with something unique, something festive & über-feminine. After all, party dresses are not only for party, aren't they? 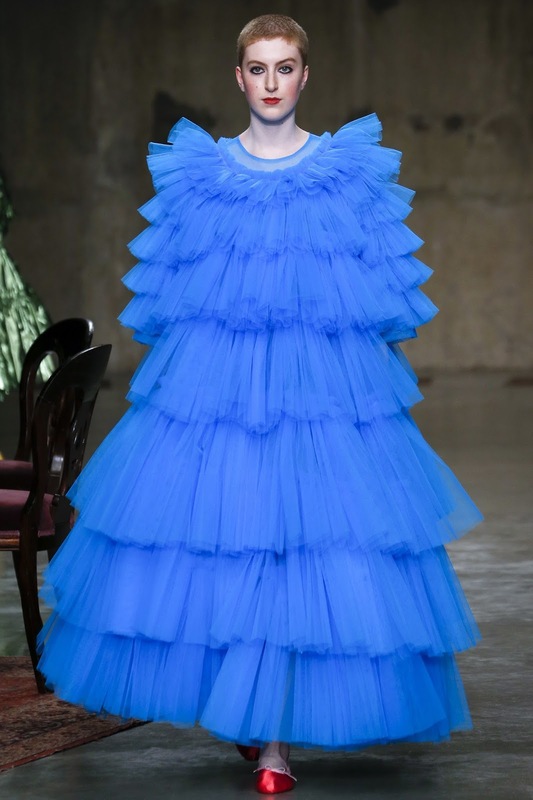 So you can find a nod to the Elizabethan era in giant tulle dresses that could have been worn by a neo Virgin Queen but also references to the Victorian age in the sleeves, the shapes, the frills & embellishments and to the 80s, this glorious age everybody is celebrating nowadays with the flashy, glittery colors, the stripes and with a general feeling of coolness & ease. Femininity is celebrated in the best way with all these silhouettes that you cannot define as kitsch; this is impossible! These outfits are so empowering and can speak to a multitude of women. This collection is not only about big meringue dresses, it is much more subtle than that. 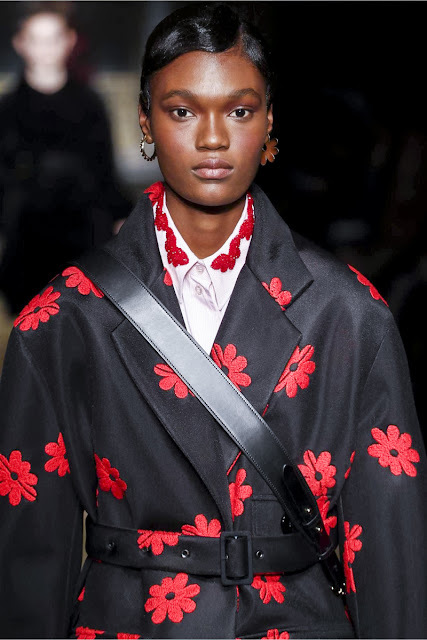 Thanks to more common elements such as beautiful flower-printed sweatshirts or ruched pants, this collection gets a universal flair and an undoubtedly fun & attractive touch. 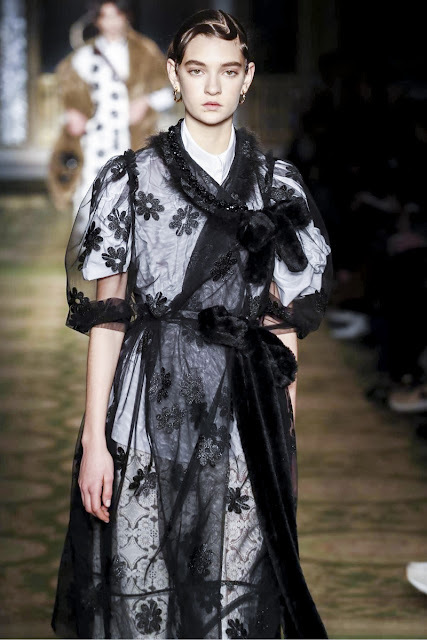 The Simone Rocha show was an intense one yesterday! 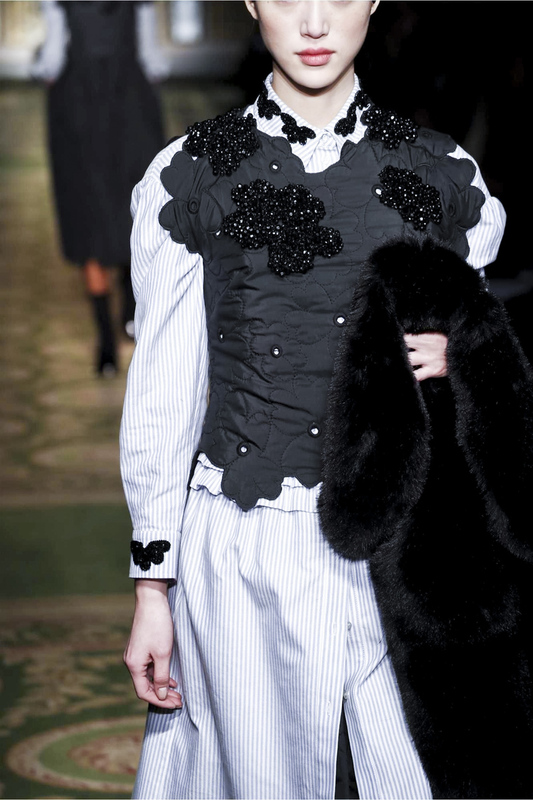 The very first looks set the tone for the whole collection; femininity & feminism. This is the core of Rocha's work and to the sound of an Irish march, Mica Arganaraz opened the show clad in an oversize khaki shiny velvet power suit (utilitarian coat + skirt). 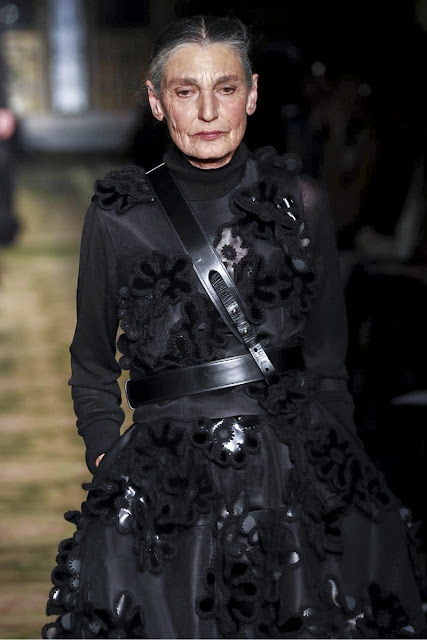 Women as warriors, women at all ages standing for the diversity of Rocha's customers. 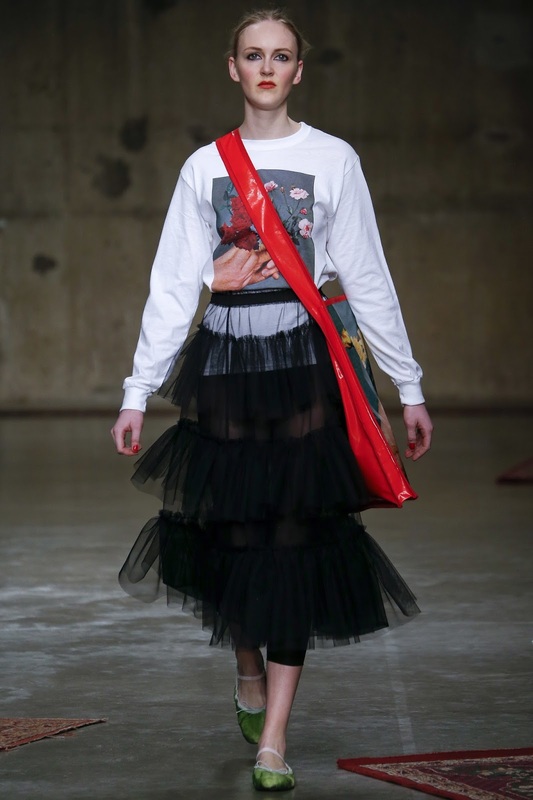 This is an AW17 collection celebrating the strength of women and in these troubled uncertain times, they need to be celebrated. You shall never misjudge the power of femininity! Satin, lace, tulle taffeta, faux fur and velvet are used to give a lighter touch to these outfits with the help of some flowery embroideries/embellishments, one of Simone Rocha's signatures. 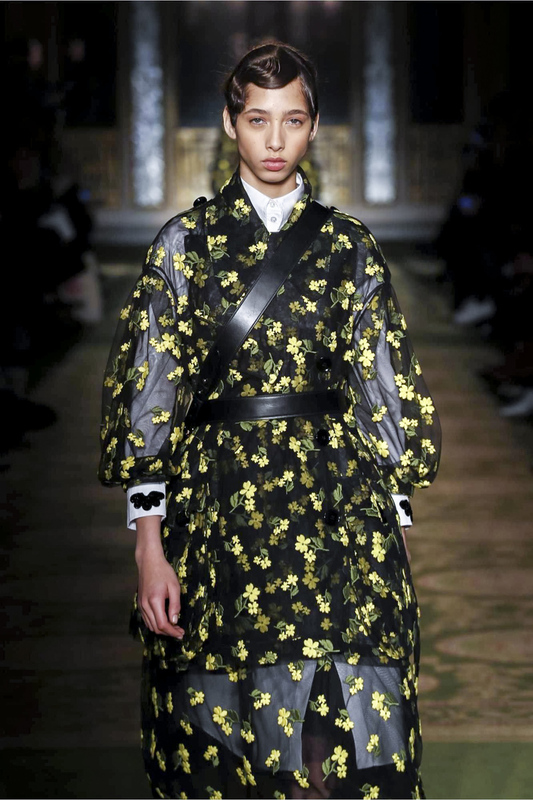 These "violent" flowers on sheer dresses let the female body & soft lingerie appear and little by little, these military vibes fade away for something softer; evanescent shapes, lightweight fabrics. Garments to feel beautiful & proud in. Rocha's customers are definitely lucky women. 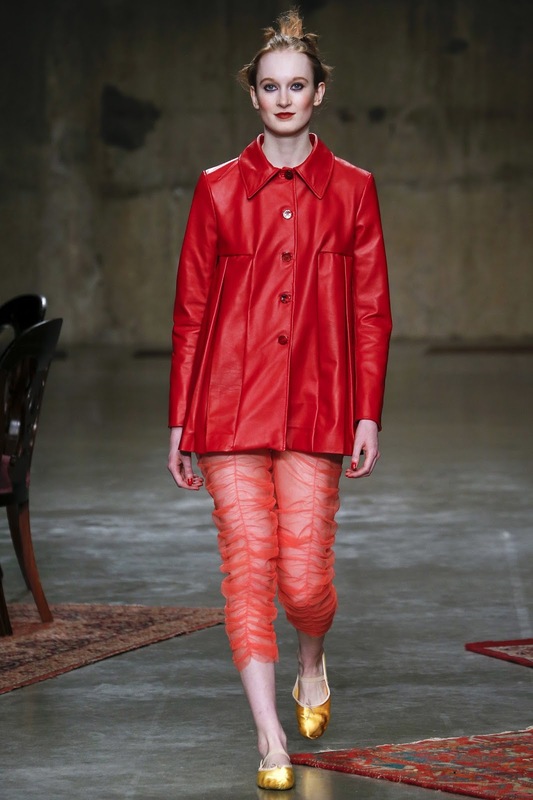 There is something so exciting about all these female designers rocking #LFW! These women and many others (Ashley Williams, A.V Robertson, Marta Jakubowski, Sadie Williams or Mary Katrantzou to name a few) are here to remind us that you don't necessarily need to put the words "Women" or "Feminist" on tee-shirts to prove you're one.